quite scary when you really sit and think about it. So why is it that we are so often stuck on just dreaming and do nothing about it? Well, now is the time to say enough is enough. If you dream it, then by golly, DO IT! 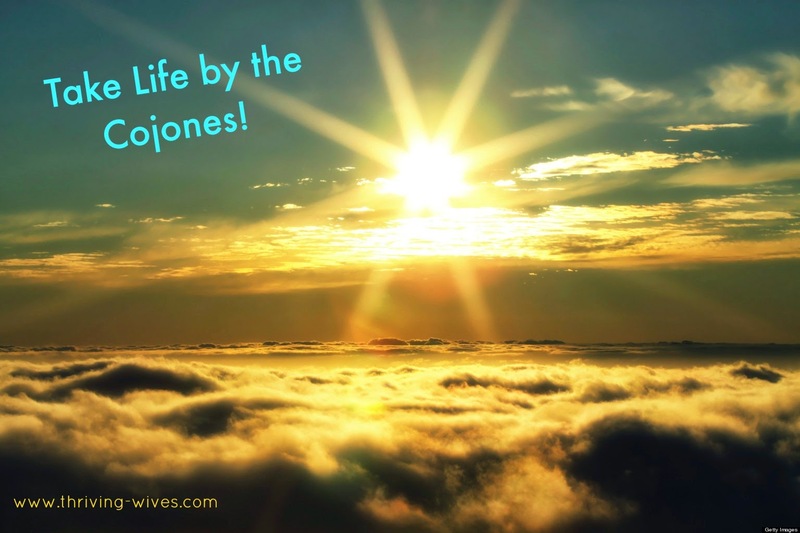 Take life by the cojones and make it happen! We all have a dreamer inside of us. The person who thinks of all the things they want for themselves, smiles as the fairytale crosses the brain, then settles back into the reality of the moment. But what if those dreams could become your reality? What if instead of thinking, dreaming and waiting you did. 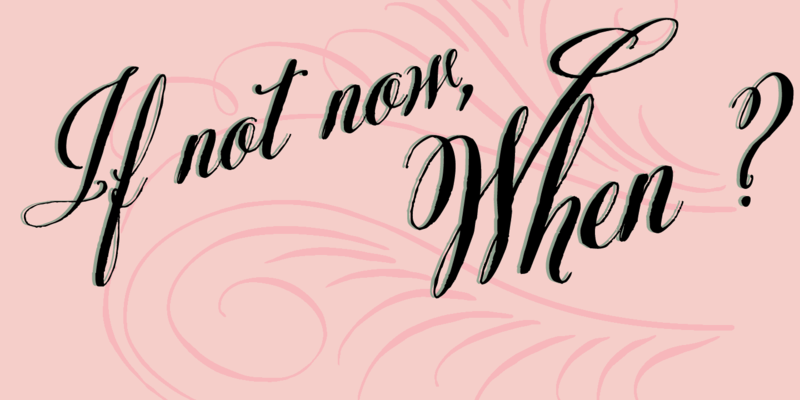 No more waiting for something to happen, (G forbid a sickness, death or crisis) you just made changes to be happy. Maybe it is a relationship, perhaps it is work, heck it may even just be where you live. Whatever it is, make the change and do what you want. You may have to struggle and it may not be easy, but hopefully it will be worth it. I admire my Thriving Mommy for more reasons then I can count, but just one of the many is that she took her life by the cojones. After she put me through college and I had started my career, it just hit her one day. What was she doing? Was she a successful business woman? Yes. Did she love working hard, long hours to make those dolla, dolla bills just to add to her bank account? Maybe not so much. She was at a great place in her life and decided to finally put herself and her happiness first. So, she just decided she was done. She wanted to spend her precious time doing something that mattered and that is exactly what she did. You GO GIRL! Nic and I recently had a discussion about what we wanted for our lives. We both have great passions and plan to pursue them...someday? Well, we decided on that fateful car ride, to make a plan. Start with getting our information, presenting our cases and doing what truly makes us happy. Life is too short to not enjoy every second of it. So, here we go. Plans are laid, contacts have been made...now let's see if we can put it into action and take our lives by the cojones. Are you itching to make a change? Ready to join our Thriving movement?! Love this post. Thanks for the reminder and inspiration. 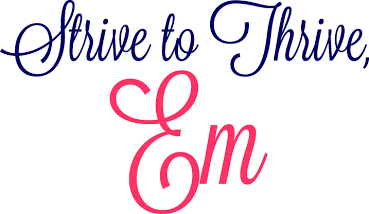 Strive to thrive everyday! Of course Ashley! Thank you so much for stopping by!